Angela Merkel has won a fourth term as Chancellor, while support for far-right AfD surged in Germany's election. 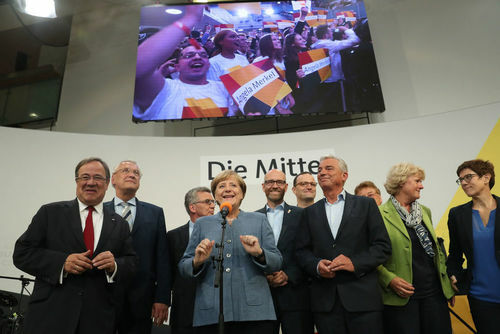 The CDU-CSU won 33 percent of the vote and will remain the largest group in parliament, but the result marks the conservatives' worst since 1949. The euro has slipped following the result, as investors digested the challenge Merkel faces to build a stable coalition government. Angela Merkel wins a fourth term, but her conservative alliance suffers its worst result since 1949, as the AFD becomes the first far-right party to enter parliament in more than half a century. Anti-fascist protests break out across Germany in response to the result, which has the AFD set to take more than 90 seats in the Bundestag. 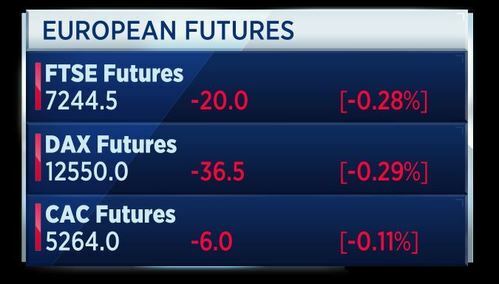 The euro dips as support for Chancellor Merkel slides, and investors digest the prospect of tough negotiation talks to form a German government. Coming up on Squawk Box: We hear from the new leader of Italy's populist 5-Star movement, Luigi di Maio, as his predecessor Bepe Grillo hands over the reigns. Italy's 5 Star movement has elected a new leader as it attempts to transform from a protest party into one of national power. 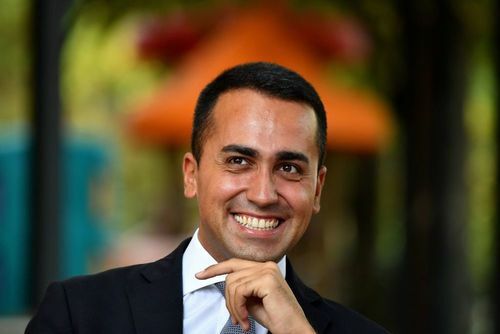 Luigi di Maio (pictured), deputy speaker of the lower house, has been groomed for the role by the party's founder, Beppe Grillo. Seen as a more moderate voice than his mentor, di Maio will now lead the party into parliamentary elections, which are expected next year. ABB buys GE's industrial solutions business for $2.6 billion, in the first major portfolio change for the U.S. industrial giant's new CEO, as he fights shareholder activisim. 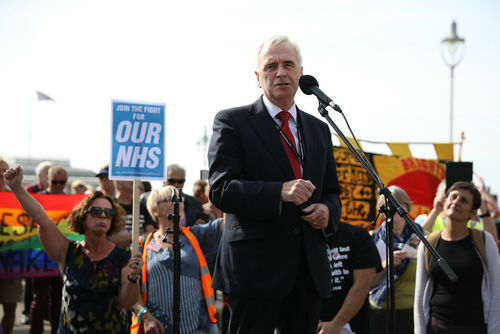 Britain's shadow chancellor John McDonnell is expected to unveil plans aimed at tackling the country's debt crisis. In his Labour conference speech later today, McDonnell will announce measures that include a cap on interest payments for those trapped in persistent debt. Round four of Brexit negotiations kicks off today in Brussels, following Prime Minister Theresa May's speech in Florence Friday. EU negotiator Michel Barnier will now expect more concrete details from Brexit secretary David Davis. May proposed a two-year transitional period, while saying the U.K. would honour it's financial obligations. Banj of Japan's Governor Kuroda says there is still some distance to achieving the price target and the central bank will continue with powerful monetary easing to achieve its price target at the earliest date possible. Japan's economy is enjoying balanced expansion driven by external and domestic demand, he added. President Donald Trump has expanded U.S. travel restrictions, adding Chad, North Korea and Venezuela to the list. Five other mostly Muslim countries remain on the list, though Sudan is no longer on it. President Trump tweeted that America "will not admit those into our country we cannot safely vet." Rights groups have condemned the move, with Amnesty International USA calling it "government-sanctioned discrimination." Meanwhile, President Trump warned North Korean leaders they "won't be around much longer" as the rhetoric between the U.S. and North Korea heated up. North Korea's foreign minister told the United Nations General Assembly that targeting the U.S. was inevitable after Trump's comments last week. Trump has called North Korean leader Kim Jong Un a "rocket man" on a suicide mission. Lufthansa is reportedly offering to pay 200 million euros for Air Berlin's assets, plus 100 million euros to meet operating costs. This according to several media reports. 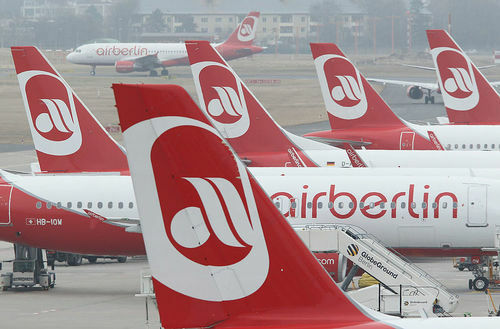 Air Berlin's creditor committee has named Lufthansa and Easyjet as possible buyers for the insolvent carrier's assets and has given three weeks for negotiations to take place. 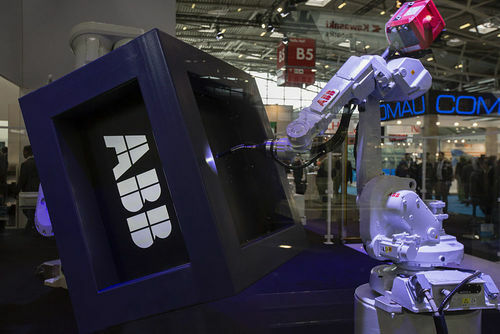 ABB is buying General Electric's Industrial Solutions unit for $2.6 billion. The Swiss engineering company hopes to expand its presence in North America. It says potential cost synergies could be $200 million per year. GE, meanwhile, is expected to use the proceeds from the deal to fund its restructuring efforts. New CEO John Flannery is looking to cut costs, amid pressure from activist investor Trian Fund Management. 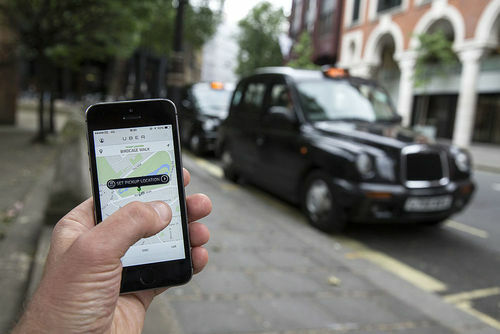 Uber may make concessions in it's bid to retain it's London licence. Tom Elvidge, the general manager of Uber in London says the ride-hailing company is willing to talk to Transport for London and the city's Mayor Sadiq Khan. But he added that dialogue hadn't happened recently. More than 700,000 people have signed a petition urging the decision to be overturned. 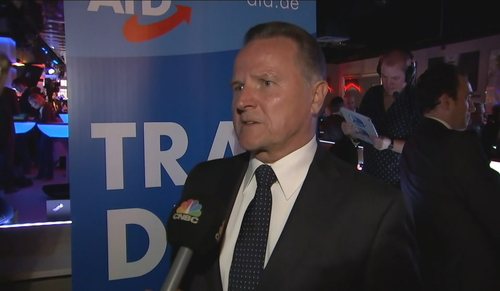 CNBC’s Annette Weisbach spoke to Georg Pazderski from the AFD party, who denied the party is far-right, instead describing it as a conservative-liberal party. Our party is not really right-wing. This is a typical behavior of parties in the bundestag. If you want to stigmatise a party, then you put out the nazi wording and say these are Nazis, these are right-wing, don’t vote for them because of our history. But I am for 4 years a member of this party. I have for 41 years been a soldier. My father is Polish. This means there is no real right-wing party in the sense there are Nazis. We are conservative, we are liberal and this is what we are. He says now they are in parliament they will show they are a normal conservative-liberal party and will try to make good politics. On the topic of integration, Pazderski says Germany needs to choose the people who come into the country in order to receive qualified immigrants. It cannot be that 1.7 million people entered Germany since 2014 and most of these people have no reason to ask for asylum. 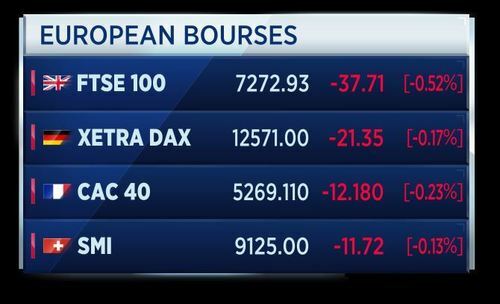 European markets are called to open lower today, as markets digest the result of the German general election. 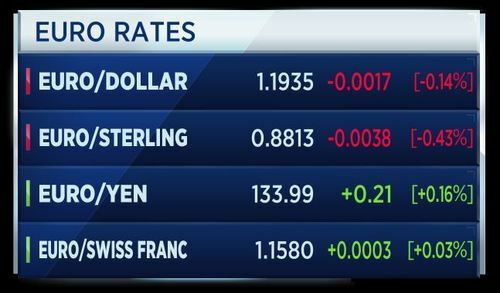 Brexit talks resume today, which will also weigh on markets. 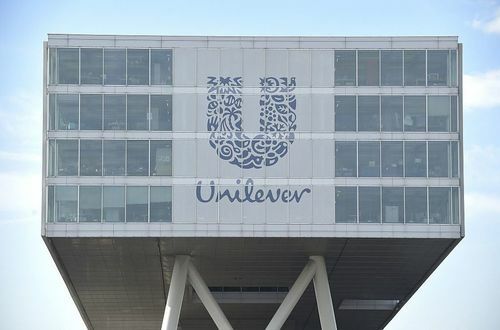 Unilever has struck a deal to buy a majority stake in cosmetics firm Carver Korea for 2.27 billion euros. It is acquiring the South Korean company from Goldman Sachs and Bain Capital, as it looks to bolster its position in North Asian markets. Goldman Sachs and Bain bought their stake in Carver, whose brands include skincare line A.H.C., just last year. Meanwhile, Disney has threatened to pull its channels from Altice USA's Optimum cable packages, if the two companies cannot agree on fees. According to Altice, Disney has asked for 'hundreds of millions of dollars' in new fees during contract renegotiations, for Optimum to continue carrying channels like ESPN and ABC. Disney said it remained committed to reaching a deal. Japan's Prime Minister Abe has ordered a new 2 trillion yen economic package by the end of the year. He wants the package to subsidise education, child care costs and encouraging corporate investment. He also wants to actively use the extra revenue generated from the sales tax increase scheduled for October 2019. Alongside this announcement are reports that Abe may be planning a snap general election. Kyodo News reports that Abe is planning to dissolve the Japanese parliament's lower house on September 28. 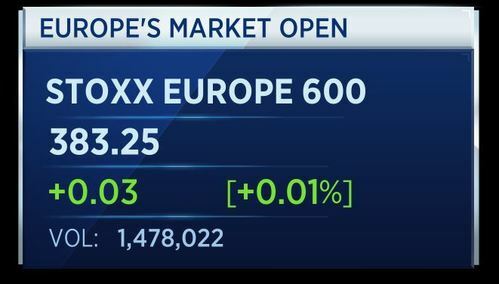 European markets are now open for trade as investors digest the German election results. The Stoxx 600 has started Monday's session close to the flat line. 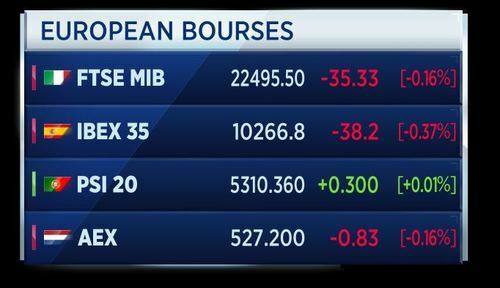 Here's a look at the individual European bourses. Most of the markets are negative, with investors cautious around German shares. The FTSE 100 is down more than half a percent as Brexit talks between Britain and Brussels resume this week. Angela Merkel has won a fourth term as Chancellor. The CDU-CSU won 33 percent of the vote and will remain the largest group in parliament, but the result marks the conservatives' worst since 1949. 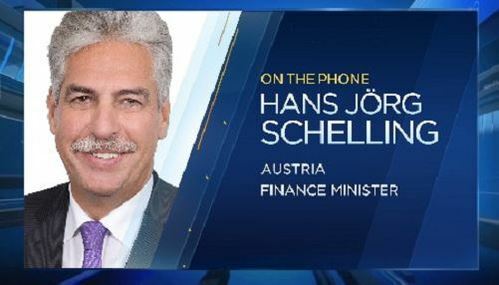 Hans Jörg Schelling, finance minister of Austria, says the result is not that surprising and says the polls were misleading. The people in Germany obviously do not agree with the government’s position regarding the refugee crisis and probably it was also a referendum on how to handle the crisis with the refugees and if you look at the result you can see that 13 percent for the AFD are the losses of the great coalition in Germany. It’s not a good result, but it’s also not a disaster for Germany or Europe. China-backed investment firm Canyon Bridge is buying Imagination Technologies for £550 million. The all-cash deal values the Apple supplier at 182 pence a share -- a 42 percent premium to Imagination's Friday closing price. Imagination also announced it is selling its U.S. embedded-processor business to Tallwood Venture Capital for $65 million, in a move which will help the Canyon Bridge deal avoid scrutiny from the Committee on Foreign Investment. These are the stocks moving markets today. ABB is buying General Electric's Industrial Solutions unit for $2.6 billion. The Swiss engineering company hopes to expand its presence in North America. It says potential cost synergies could be $200 million per year. GE, meanwhile, is expected to use the proceeds from the deal to fund its restructuring efforts. New CEO John Flannery is looking to cut costs, amid pressure from activist investor Trian Fund Management. Unilever has struck a deal to buy a majority stake in cosmetics firm Carver Korea for 2.27 billion euros. It's acquiring the South Korean company from Goldman Sachs and Bain Capital, as it looks to bolster its position in North Asian markets. Goldman Sachs and Bain bought their stake in Carver, whose brands include skincare line A.H.C., just last year. Disney has threatened to pull its channels from Altice USA's Optimum cable packages, if the two companies cannot agree on fees. 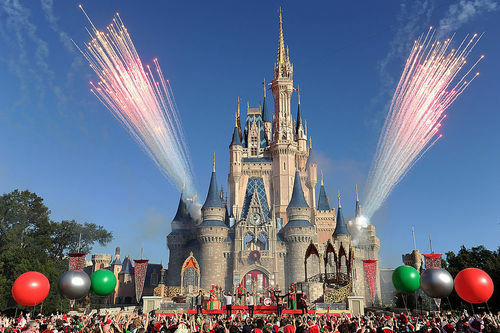 According to Altice, Disney has asked for 'hundreds of millions of dollars' in new fees during contract renegotiations, for Optimum to continue carrying channels like ESPN and ABC. Disney said it remained committed to reaching a deal. 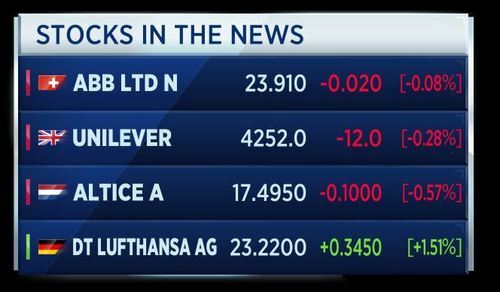 Lufthansa is reportedly going to bid 200 million euros to buy assets from the insolvent carrier Air Berlin. That's according to a report in the Bild am Sonntag newspaper. The paper says there could be three months between signing a purchasing contract and implementing the transaction. German and European authorities would need to vet the agreement. 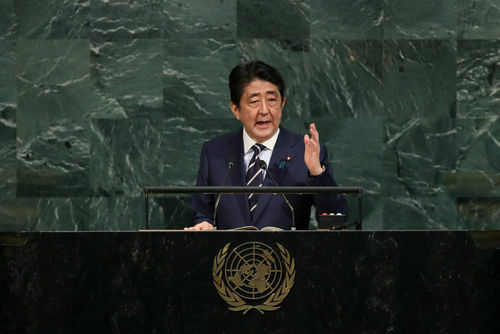 Japanese Prime Minister Shinzo Abe unveils a $17.8 billion stimulus package, with the planned spending coming ahead of a rumoured snap election. ABB buys GE's industrial solutions business for $2.6 billion, in the first major portfolio change for the U.S. industrial giant's new CEO, as he fights shareholder activism. Another foreign takeover concerns for Theresa May. Imagination Technologies trades up over 30 percent after agreeing a sale to a Chinese backed private equity firm. China is calling on North Korea and the U.S. to calm their rhetoric. In a Foreign Ministry briefing, Beijing urged restraint in the war of words being waged between the White House and Pyongyang, after President Trump warned North Korea's leader he 'won't be around much longer'. We'll close the blog there. Thanks for reading and join us again tomorrow morning.